Greg Wilson was literally born into show business. His parents are the world famous pioneers of Television Magic, Mark Wilson and Nani Darnell. 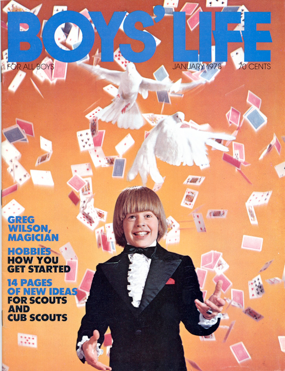 Greg began performing professionally at the tender age of 6 years old. Now a seasoned professional, he has been featured on more than thirty television specials, including all major U.S. television networks. His touring shows have taken him throughout China, Japan, South-East Asia, Australia, USA, and many parts of Europe. Now a seasoned professional, he has been featured on more than thirty television specials, including all major U.S. television networks. His first performing tour of the Peoples Republic of China became an Emmy-nominated television special. And since then his magic and Illusion shows have taken him all over the world. This "World's Greatest Illusionist" has enjoyed captivating audiences in Australia, Bosnia, Canada, China, England, France, Greece, Guam, Hong Kong, Italy, Japan, Kosovo, Malaysia, Mexico, Switzerland, Thailand, Taiwan, the United States, both the Atlantic and Pacific Oceans, and more…even as far North as Anchorage, Alaska! Disney’s El Capitan Theatre in Hollywood hosted over 100 of Greg’s “Mysteries of Magic” Grand Illusion performances to capacity crowds, setting new records for the historic venue in 2013. The next year Greg was brought back for his “The Golden Age of Magic” spectacular production with over 160 performances. Greg was further honored by Disney by including his show on their “wall of fame” photo collection! Last year, Greg combined his background in film production with magic to create a film to life magically interactive show that was featured before each screening of “Tomorrowland” at the El Capitan Theatre. Once again presenting an all new production for the Disney audiences. Greg’s consulting work on features and television productions is his invisible magic. From sitcoms (The Goldbergs), to detective and dramatic series (CSI, Criminal Minds, Pretty Little Liars, Shield, etc. ), and more, Greg is brought back because of his ability to teach quickly, help keep production time to a minimum, and make the artists look like pros. 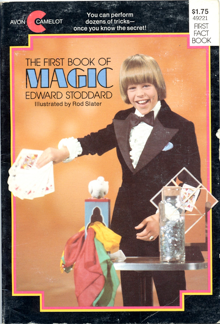 It all comes from Greg’s growing up in the magic world. He had to learn how to do it all for his television appearances. Renowned artist, Diana Thater had Greg present the legendary “Rabbit from a Hat” trick for her moving image art exhibit. Greg produced the bunny over 50 times as she shot it from multiple angles, never revealing the secret. The exhibit toured the US from LA to New York, and then off to London for her gallery showing. Greg Wilson has set records, not only on his performing tours, but also as headliner at the Las Vegas showrooms, The Hilton, The Aladdin, and more… as the featured Artist at Wizardz in Universal Studios Citywalk for more than 5 years, multiple appearances at the Magic Castle, Hollywood, as well as headliner in the “International Stars of Magic” at the main showroom of the Burswood Casino, Australia. Greg Wilson's “Allakazam! The World's Greatest Illusions”, his full-evening theatrical production, is reported to be "The best ticket in town" (Atlantic City)... His Domestic tours have taken his show throughout the USA, from Seattle, Washington to West Palm Beach, Florida... from Los Angeles, California to Stamford, Connecticut. In one year alone his tour covered 27 states, over 17,000 miles.